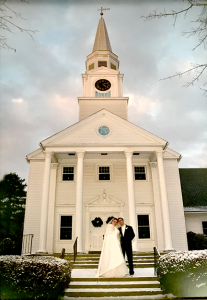 The Federated Church of Sturbridge and Fiskdale is a self-supported and self-governed congregation, made up of members who seek to follow Christ’s example, and the Spirits leading. We joyfully celebrate Christ’s presence and God’s grace in our lives. We respect one another in love, actively seeking and embracing those who wish to grow with us in faith, hope and love. With God’s guidance, we minister to the spiritual and physical needs of the community. Through service we flourish. We are called “federated” because three congregations joined together in 1922 to become one: The Congregational Church (1736), the Baptist Church (1747), and the Unitarian Society (1864). 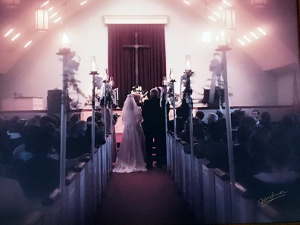 Because of this history, we are affiliated with the American Baptist Churches USA, the United Church of Christ, and the Unitarian-Universalist Association. Similar federated churches exist around New England and elsewhere. When becoming a “member” of the church, an individual may join as a Baptist, a Congregationalist, a Unitarian, or as a member of the Federated Society. No matter which group individuals joins, all are one body in Christ in spirit and in practice. Members have a voice and vote on all matters pertaining to the church, and may serve as officers and board members. Non-members are welcome to attend services and participate in church activities and events but may not vote on matters pertaining to the church or serve as officers and board members. Our sanctuary and meeting rooms are accessible at all levels. An elevator is available at the Maple Street entrance. Large print Bibles, bulletins and hymnals are available at the entrance. Listening aids are available as you enter the sanctuary. Childcare is available downstairs by trained staff members for children up to 5 years of age. The Rainbow Room (upstairs) and the Parlor (rear of sanctuary) are available with a P.A. system for anyone need private or more comfortable seating during worship, such as a parent with a newborn, etc. Rest rooms are available in the Parlor, Maple Street foyer and Fellowship Hall. The Diaconate Board shall welcome new members to The Federated Church at a communion service or at such other times as the Board deem suitable. C. On profession of faith and baptism,, unless exempt because of conviction. Baptism – All questions regarding the Sacrament of Baptism shall be left to the conscience of the individual member. The pastor may, if s/he chooses, secure the services of any ordained clergy to administer the rite in the desired manner. A. To undertake the faithful practice of the principles of Christian living, seeking always a closer personal fellowship with God and with other people. B. To seek out personal opportunities for spiritual growth. C. To attend the services of worship regularly, realizing that their presence strengthens, and their absence weakens, the whole fellowship. D. To set aside a reasonable portion of their financial income, in gratitude to God, as a contribution toward the mission of The Federated Church. E. To volunteer their time and talents in some definite form of service to others. 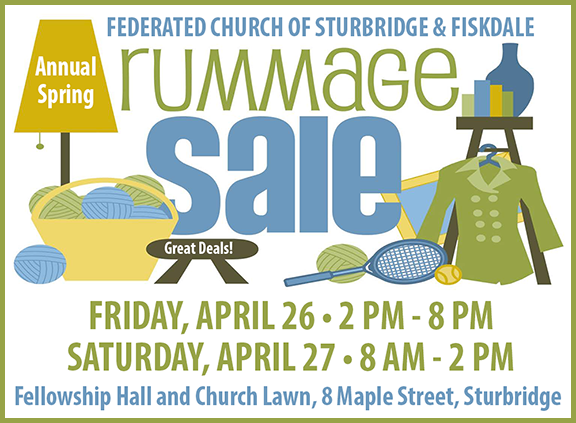 Friday, April 26, 2 p.m. to 8 p.m.
Saturday, April 27, 8 a.m. to 2 p.m. Meetings by appointment are preferred, but not necessary. Please call the Office Administrator to discuss weddings, baptisms, funerals, rentals and any additional needs you may have. She is available Monday through Friday from 8:00 a.m. to Noon. Need more information? Please complete the contact form. Use the message box to explain the nature of your question and someone will get back to you as soon as possible.